As the demand for corporate collaboration technology continues to grow, huddle spaces—small, tech-equipped areas for informal meetings—remain one of the most popular applications in this innovation wave. But with the ever-expanding range of products available to equip them, integrators can get caught up in the complexity of specifying the ideal package. So what are companies doing to help integrators select optimized solutions? And how are software and hardware coming together to provide a complete huddle-room package? Middle Atlantic’s TechPed technology pedestal. “First, identify your client’s specific requirements. How many users, and will they be sitting or standing? Is the setting for collaboration or video teleconference? And how much room do you have to work with? Today’s clients are requesting more capabilities in smaller spaces, requiring the ability to mount equipment securely under tables, in the ceiling, and behind the display. Furniture such as our C5 credenza, L5 lectern, and TechPed technology pedestal offer ideal solutions. Sony’s SRG-120DU camera. “Integrators must weigh several key factors when selecting equipment for huddle spaces such as camera position, distance from lens to object, lighting, and most importantly, ensuring the equipment is compatible with the clients’ VC software. As the use of traditional hardware codecs declines, the desire to use software clients on laptops and PCs increases. “Software and hardware solutions are coming together to enable professional audiovisual integrators to outfit huddle spaces in a more efficient manner, allowing customers greater flexibility and easy-to-use solutions. With professional quality audio and video products, like Vaddio’s RoboSHOT 12 USB, ClearSHOT 10 USB, and Mixer/AMP with table or ceiling mic options, users are now able to turn their computer, or any computer, into their conferencing backbone. InFocus’ Jupiter Canvas solution offers flexibility and convenient usage on a wide variety of devices and video walls. “At face value, huddle space technology includes a consistent set of components: screens, network connections, and the ability to pull and display different types of data feeds in a meaningful way. And yet, every customer will have a different use case for this technology. Some will require the ability to simultaneously view routine video streams and data from around the world within a broad and complex network to conceptualize what is going on at any time. Others may need to quickly intervene in an emerging situation—requiring the collaborative input and spontaneous data feeds of experts in multiple time zones using multiple devices. Kramer’s VIA Connect Pro system. “Integrators today have a wide range of wireless presentation and collaboration solutions to offer clients with huddle spaces. These solutions are more and more software-based as the merger of AV and IT marches along. Some huddle space users simply need to connect all participants quickly and effortlessly switch between displaying different meeting participants screens. This represents the entry level of wireless presentation solutions. “Over the past few years we’ve experienced a shift in corporate meeting spaces’ size, design, and scope. The focus was previously on large conference rooms loaded with collaboration equipment. However, only a limited number of people had access to these rooms. Today, as how we work evolves with the rise of remote and cross-functional teams, the trend favors providing many smaller meeting spaces that offer more people access to collaboration tools. Epson’s BrightLink Pro collaboration platform. “Because huddle spaces are often used for impromptu meetings with no prep work, no presentation, and no agenda, integrators need to take into consideration the technology they install should be flexible and easy to use. Solutions designed for huddle spaces such as the Epson BrightLink Pro support PC-free digital whiteboarding, BYOD for collaborating on users’ content on their own devices, and the ability to share notes easily. Solutions such as this are ideal for huddle space meetings: they turn a dry-erase board, wall, or a table into an interactive display that can be used intuitively. ClearOne’s family of microphone systems. “Corporate and educational organizations’ requirements for flexible meeting spaces apply both to individual room arrangements, and to divisible meeting spaces. This creates challenges for AV systems, including microphone systems. Using wireless microphones allows easier movement of the microphones in dynamically changing environments. However, managing the microphones in a cost-effective way that does not strand wireless system resources in unused spaces is difficult. Ideally, you should be able to use any of the microphones in any space they are needed. Barco’s ClickShare CSM unit for huddle spaces. “In contrast to existing conferencing rooms, huddle spaces are small gathering spots where people can quickly come in without reservation and easily conduct their business discussion among a few people. With that in mind, the BYOD requirement is even more important, so integrators need to look for technology, like the Barco ClickShare Presentation System, that enables attendees to utilize their devices such as smartphones, tablets, and laptops. This will also allow the huddle space to become a hassle-free environment by releasing attendees from cabling and adapter issues, as well as not requiring software downloads. “The huddle room is a center where employees bring their own devices of choice, be it laptops, tablets, or mobile phones. To maximize productivity and employee engagement, organizations must deploy the simplest method for connecting all devices and enabling collaboration. In turn, integrators must consider these key factors when selecting huddle-space solutions: ease of use, quality of audio and video, and connectivity. Another important consideration is making sure all endpoints support all necessary standards and applications, now and in the future. “Today’s workers have an amazing range of technology at their fingertips at all times — meaning their preferences in the workplace are changing. Enterprises need to accommodate these expectations and requirements to ensure that collaboration continues to flourish. For integrators this means designing solutions that are forward compatible and can work with innovative brands for smoother transitions. As collaboration continues to increase around the world, huddle rooms, collaboration platforms, and premium audio technology are becoming everyday work tools. 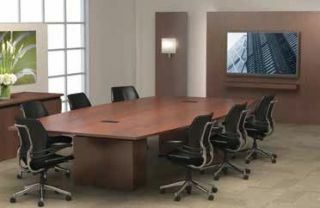 The Extron TeamWork systems are complete integrated solutions for meeting spaces that allow anybody to enter a meeting room, connect their device to our “Show Me” cables, and begin presenting their content. “When selecting an AV solution for huddle spaces, you need to ensure it works well across multiple device platforms—Windows, Andriod, iOS, etc.—in order to support whatever laptop, tablet, or smartphone the participant may want to use. Sources that output 4K video will also become more common and huddle spaces will need to support them. Understanding the intention for the huddle room will also help you determine the size of the display and the typical viewing distance. Another challenge is being able to support the connections to the display, either through wired or wireless connections. “The Extron TeamWork systems are complete integrated solutions for meeting spaces that allow anybody to enter a meeting room, connect their device to our “Show Me” cables, and begin presenting their content. For people interested in a wireless solution, the ShareLink 200 allows mobile devices like laptops or tablets to wirelessly present content on a flat panel display or projector.